Here's a superb new online slots game that you can play. 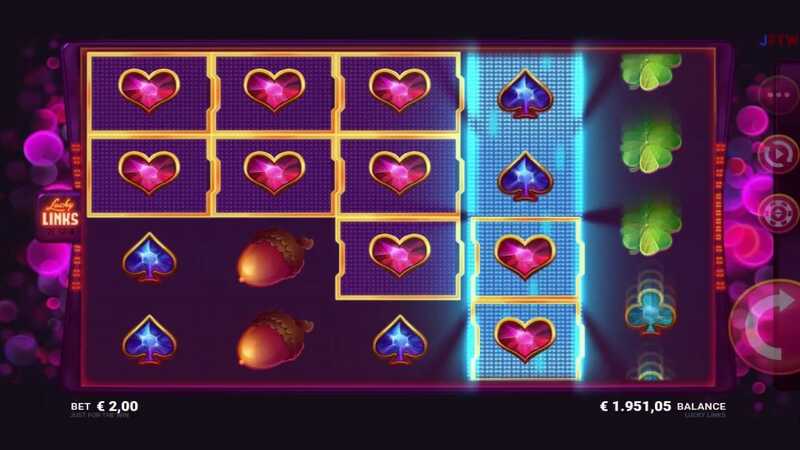 This is an online slot that is less about flashy themes, interesting storylines and character led spins, it’s about new and innovative gameplay. Give it a spin and you won’t be disappointed. We all love standard fruit machines, classic reels and paylines but every so often you need to switch it up and try something new to keep you on your toes. That’s where Lucky Links comes in. It’s got 5 reels and 25 paylines, so far so standard, but the reel respins come at you fast and furious and the standout feature of the game is that at times it lets you link both ways. Neat. If you love promo's don't forget to check out our latest online slot bonuses. Just for the Win are a fresh new gaming studio based in Gothenburg, Sweden. A team of 20 innovative developers are creating online games that have got the industry talking and making sure they're on top of their game to keep up with Just for the Win! Innovation, high quality and engaging features are the top priority for this forward thinking studio. Load this little cracker up and you’ll see that the graphics and animation of Lucky Links are spot on, crisp, sharp and well designed. The gameplay despite being fast-paced is also incredibly smooth. You can wage a min bet of 0.10 and a max bet of 250, making the Lucky Links slot ideal for casual bettors and high rollers alike. Lucky Links won’t wow you with special themed symbols, it’s the classic playing card collection of diamonds, clubs, spades and hearts on these reels, alongside acorns, four-leafed clovers and triple 7s. Plus the game logo – more on that later. You can rack up standard wins in the same way you would with a classic online slot, 3 or more in a row and you’ll find yourself in the prize parade. But let’s cut to the chase, the real beauty of Lucky Links is the unique link-locking potential, this is what everyone is talking about. With this whenever you manage to get blocks of identical symbols on your reels they will lock into place. With these symbols staying where they are you will then get respins for the reels not yet interlocked. These respins open up the possibility of connecting more of the same symbols to this locked in the cluster and if you do you’ll continue to get more respins until the matches stop. There’s also a link locking bonus to look out for, this is where the Lucky Links logo comes into play. You need to get your hands on 5 of the Lucky Links logo on an active payline to reap the rewards. When you do you’ll be given an outstanding win of 7.5 times your total bet. 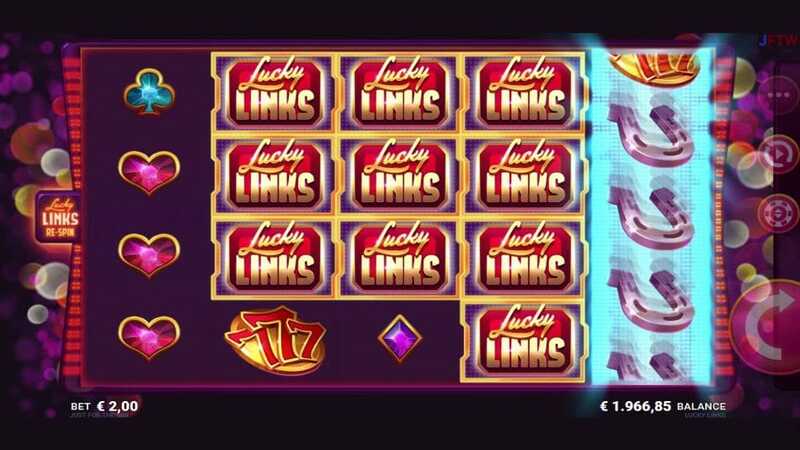 If you’re looking for a fast-paced, beautifully designed online slot with a difference then Lucky Links is for you, some might say you’ll be tickled link. It’s mobile-optimised so the gaming experience is just as enjoyable on laptop, iOS or Android. Whatever platform you’re on you’ll love the unique link locking feature, putting a really neat spin on the slot format. The effortless animations, smooth gameplay and pretty impressive prizes make Lucky Links win, win, win!